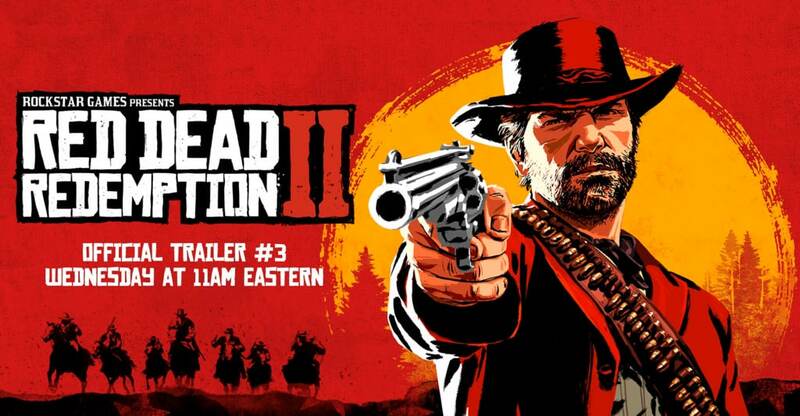 Red Dead Redemption 2 is the upcoming open-world game, by Rockstar Games; actually, it will be a prequel to the first game in the series, set 12 years before the events of the original installment. The last game in the series came eight years back, in 2010, so it’s obvious that fans of this franchise will be awaiting the new addition, very highly. And now it becomes really compulsory that those who are still not aware of anything about what RDR2 will be offering in its gameplay, it’s the best time! The new game will be exploring the gang of Van der Linde, in the open-world atmosphere. Set 12 years before the original game’s story, this one throws the light on the gang’s adventure. Post a robbery failure, the things start to turn against the gang members, and they must fight against the other gangs too while being on-the-run. America, 1899. The end of the wild west era has begun as lawmen hunt down the last remaining outlaw gangs. Those who will not surrender or succumb are killed. After a robbery goes badly wrong in the western town of Blackwater, Arthur Morgan and the Van der Linde gang are forced to flee. With federal agents and the best bounty hunters in the nation massing on their heels, the gang must rob, steal and fight their way across the rugged heartland of America in order to survive. As deepening internal divisions threaten to tear the gang apart, Arthur must make a choice between his own ideas and loyalty to the gang who raised him. The main protagonist of the RDR2’s story is Arthur Morgan, who is a loyal assistant to Dutch, the gang leader. He will ensure that the daily tasks be performed properly, while also training the young John Marston (in this storyline he has a brief story of his own). Later in the game, it will also be shown how Morgan will deal with his life’s questions and his place and position in the Van der Linde gang itself. The storytelling has been enhanced and gives the same feeling, like the old games in the series. The honor system has got a better way of tracking now and the community members around you will now react to your actions towards them, that is, whether you are good or bad. As a main protagonist in the plot, you will be playing as Arthur Morgan, and so you will handle quite a few important responsibilities. It will include procuring funds, making sure that people are happy in the community and lastly, resource gathering. This time, there will also be a ‘Red Dead Online’ mode too, but not much has been disclosed about it. Rockstar Games has confirmed that a public beta after the official launch of the main game, will be made available for an open-world battle royale-it will probably be after a month. Several old missions will be making a comeback too, which were there in the previous RDR games. The first trailer for Red Dead Redemption 2 was launched on October 20th, 2016, showcasing the first glimpses of the characters. While the second trailer was launched one year later, on September 28th, 2017. It was more about the protagonist, Arthur Morgan, and his introduction. And lastly, the third trailer was released this year only, in May, showing the gang members’ connection with each other. But the very first gameplay trailer for RDR2 premiered on August 9th, 2018 which got everyone by surprise. It showed the vast changes that the gamers will be introduced to, like the interaction of Morgan with the locals, wildlife getting smarter in the ecosystem and other stuff. Red Dead Redemption 2 will be officially released next month, on October 26th, 2018 for PS4 and Xbox One. There will probably be a collector’s edition too, by the name, Special Edition. There are quite a few rumors that the new installment in the series will also mark its debut on PCs but nothing has been confirmed regarding this. Considering the fact that no Red Dead Redemption game has ever been released for the PCs, hopes are loose for this one too. Bad luck for the PC gamers. Pingback: TOP PS4 Games of 2018 you just can’t miss!